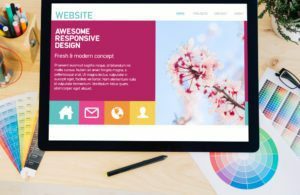 Looking for a brand new website, redesign or do you just need some help? I’ll will deploy my services to cater to what you specifically need to reach your goals. WordPress is now a THE Content Management System (CMS) replacing all those static boring HTML websites. With very little effort you’ll discover that experienced consultants with decades of experience are few and far between. Put those two together and you have the groundwork for success. WordPress provides the opportunity to have a great looking site that you have 100% control over the content. Next, being you are a business owner, not a techie, you’ll want WordPress Consulting and Business Coaching services available as needed. At first, WordPress like any software application, can be a bit overwhelming. But, I can assure you that it doesn’t get any easier than WordPress if you want to have total control over your own site. If you do not want to feel “tied” to a consultant or developer for every little tweak or change — enter WordPress! You can add, modify and delete site content at your convenience — all without knowing a lick of code! A primary bonus of partnering with me as your WordPress Consultant is that you will have my 24 years of online experience at your disposal. Including having worked with WordPress since it’s inception. Below is a quick review of my WordPress Services that we can put to work for you including links to more information for your convenience. If you need a new WordPress site or desire a new contemporary look for your established WordPress site, and aren’t sure where to start, use my Complimentary Project Estimate App to choose your options and get an estimate delivered to your inbox. WordPress Consulting and Coaching: For those who desire a more personalized approach. I can walk you through tasks or you can “pick my brain” about your concerns and what your next move should be. My Live Sessions provide a video chat environment where we can address your questions in detail. We can even screen-share so I can show you step-by-step how to complete desired tasks. You can rely on me to coach, encourage and guide you in the right direction! Already have a WordPress site and just need help with some tweaks, strategy or modifications? No problem, you’ve come to the right place! WordPress Security, Maintenance and Optimization: I know you do not want to have to worry about security, getting hacked or dealing with all the maintenance and site optimization that requires constant backups and updating. That is why I offer my White Glove WordPress Maintenance, Security and Optimization Support Service that includes SEO Tracking, Security and Performance Monitoring AND a Monthly Intelligence Briefing! Did you setup your own site and wonder what else you need to do or consider? A Site Review can guide you and point you in the right direction. WordPress Consulting Services all backed with experienced White Glove Service and Support! Get started by reviewing my New Client FAQ!